Today, my four sisters and I went to rent the summer kimono for our last day in Japan and here's what I got. I decided to wear the soft pastel color kimono since it was really hot this afternoon and yes, I was happy with it. With the help of my eldest sister, Kiki who took these pictures and did my hair today, here you go, yours truly trying so hard to be a Japanese girl (or not hahaha). 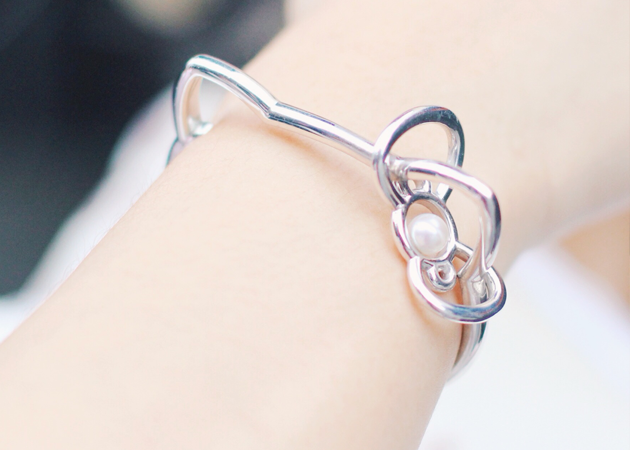 "Product of the MIKIMOTO x HELLO KITTY encounter, this stylish bangle draws the eye with a three-dimensional rendition of Kitty’s iconic ribbon. Conceived to appeal to a playful spirit, it’s perfect for women everywhere who love Hello Kitty." Your so beautiful and such a lovely kimono! The great experience from japan!! I've been looking forward to this blogpost ever since I saw the pic you had up on your Instagram! You look so adorable! I love the hints of magenta and pinks from your kimono and hair! that pic when you standing near the lantern is so pretty. kimono suit you nicely. I agree! That's my favorite picture! No offense, but you'd better smile to the camera when you wear kinds of cute outfit to make the sweetness of the outfit more 'refreshing'. =} Suggestion from reader. Hahaha.. I'm not a huge fan of Hello Kitty either but that is a creative design. My cousin came across this article about Hello Kitty today that might interest you! ciii you looks soooo cute !! 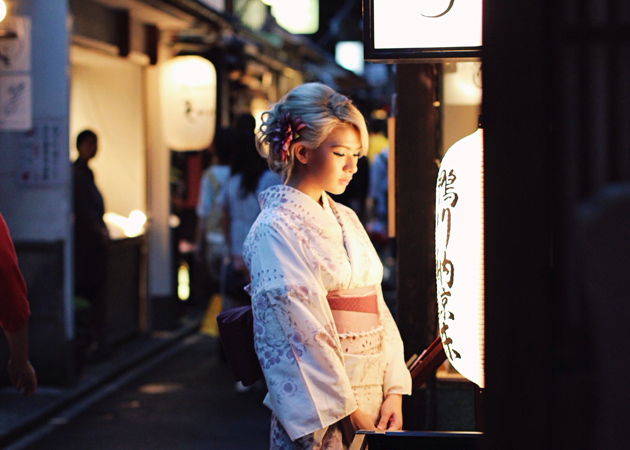 Such a beautiful girl in a beautiful and lovely kimono. you're so cute ci anaz..
Gorgeous look, love the detail at the back of the kimono. Beautiful pictures as always, Anastasia! I am currently studying in Japan and I've tried on a yukata as well! 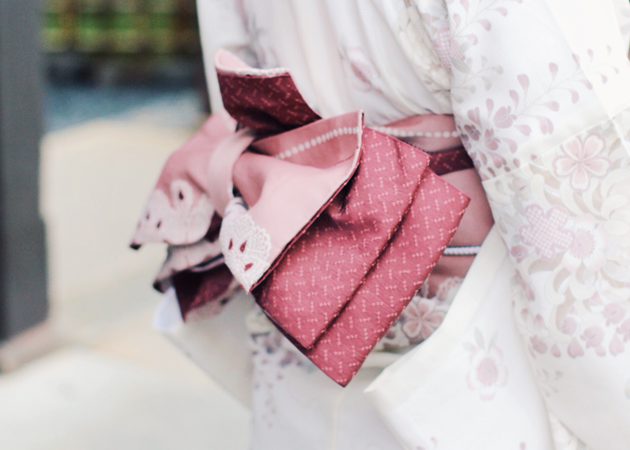 I love how yours is very soft and not as bold as some other yukatas I know... The pastel color really looks good on hot, Summer days! 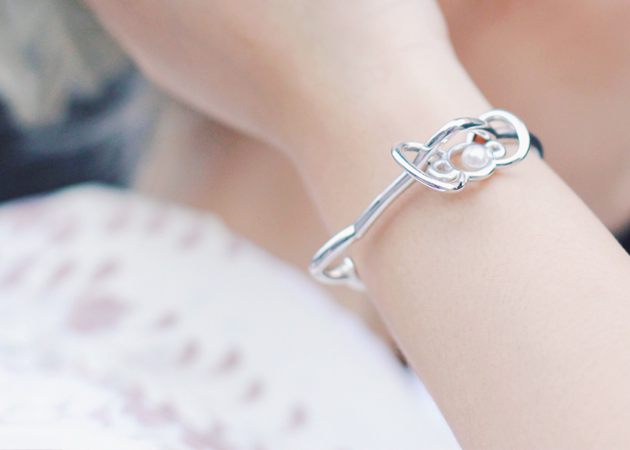 Plus, your bracelet is so adorable and unique - instead of having a hello kitty charm, it's shaped like hello kitty instead! Anaz you nailed this Japanese girl look. Such a stunner.! Who would have ever thought that traditional Japanese wear Kimono would go so well with the modern twist of Helly Kitty (just got to know that Hello Kitty is NOT A CAT... OMG o_O). I've been to Kyoto and indeed there are many women that still wear it Kimonos and thus I always associate Kyoto with ancient temples and mysterious culture. You look amazing. Really beautiful.